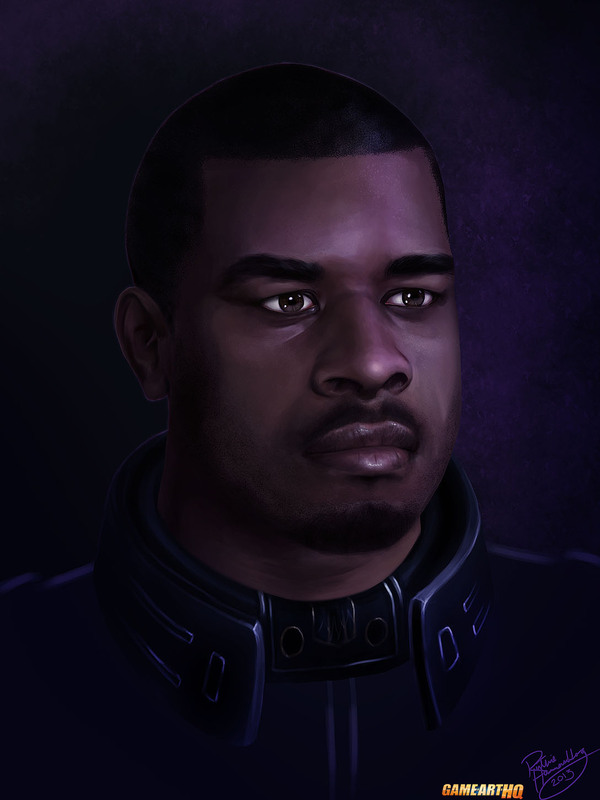 Jacob Taylor is another one of the many protagonists and helpers in the Mass Effect games, and a possible romance for female Commander Shepard. Like mentioned before, my knowledge of the Mass Effect characters is very low, so let’s talk a bit more about how detailed Ruthie Hammerschlag’s portraits are. I recommend you totally to enlarge this image just like the others of her series!